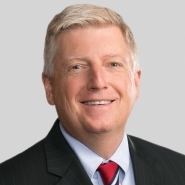 Mark Stemm, a partner in Porter Wright's Labor and Employment Department, was mentioned in the Coal Age news article, "OCA sides with Buckingham," published in the magazine's August 2013 issue. The news item discusses a current federal lawsuit against Buckingham Coal Co. and the Ohio Department of Natural Resources that The Ohio Coal Association believes should be tossed out "because the government's 'new' legal interpretations of the U.S. Flood Control Acts of 1936 and 1944 threaten potential and ongoing mining operations not only in Ohio but across the United States." The suit, filed in 2011, has dragged on with counterclaims from Buckingham and a motion for summary judgment this past summer by the company and the state "that could end the case if the judge rules in their favor." ... "OCA attorney Mark Stemm, in a July filing with the court, said that is exactly what the judge should do."